DragonPOS is user friendly and combines all our features into one easy to use system. Take care of your walk-ins faster than ever, offer discount and coupons, process payments and create loyalty that will keep your customers coming back and spending money. Service more people than you ever thought possible with DragonPOS routing managing your eCommerce and in-store customers. Recurring and on-demand requests are automatically organized and optimized for the quickest possible service. With uploadable smartphone manifests, customer notifications and seamless payments, you'll experience more pickups to all types of customers - single and multi-bag, in less time. Open a shop to the world. With DragonPOS eCommerce and mobile platform easily connect with new customers throughout your area for increased revenue. DragonPOS integrates directly in real time with your customers on any device and smartphone for new sign ups, scheduling, orders, payments and routing. Our mobile friendly, responsive web designs will have you selling online in no time. Simply pick from one of our customizable designs and you're ready to go. Retail is demanding. DragonPOS makes it easy to mange, grow and stay ahead of your competition. Easily expand your dry cleaners to offer laundry service, alterations, even shoe and leather care, opening up new and profitable revenue streams. DragonPOS is easy to set up and a pleasure to use. DragonPOS works with any windows based computer, probably something you already own. And with no license fees you can have as many workstations as you want keeping expenses down and making it simple to work from the cloud. DragonPOS drop-n-clean lockers are a great way to reach high traffic customer access points for all your services. Open up your business to condominiums, apartments buildings, medical plazas, professional offices, schools, military facilities and more. 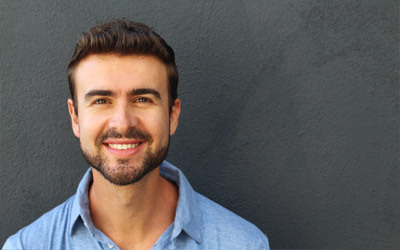 DragonPOS will automatically connect your customers drop-offs with the DragonPOS system for routing, manifests, payments and receipts. Reach more people in less time providing a great service to your customers and a much needed and convenient amenity to any property. Approaching multi-sized properties isn't as easy as it sounds when it comes to dry cleaning and laundry service. With DragonPOS and our Sell Vertical module, you can attract and maintain all types of properties. With a branded website, scheduled routes, available lockers options combined with full accounting, reports and commission management, DragonPOS can help you tap into these lucrative accounts. DragonPOS netdrive allows you to maintain a fleet of drivers bringing you business. Through netdrive, independent operators working part or full time can bring you customers that they know and develop. Your DragonPOS routing system will email your netdrivers optimized routes for pickup from their friends, co-workers, relatives and neighbors. DragonPOS is perfect for my shop. It's easy to learn, simple to use and has great tools. My employees love it, and I've expanded my services as well. DragonPOS has helped me identify and reward my loyal customers, encouraging them to come back again and again. 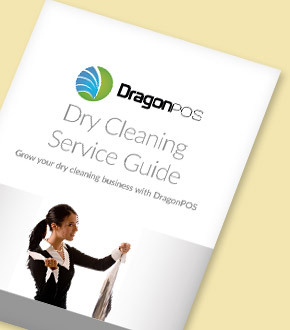 Download our dry cleaners guide to see how DragonPOS can grow your business.